Whether you’re planning world travel this summer or staying in your own back yard, you can easily add a global influence to your décor. Tribal patterns bring visual interest, vibrant color and rich textures that will enliven any space. These traditional motifs have been around for millennia – or re-imagined to suit modern trends – and they’re classic enough to fit any style. Suzani is a type of embroidered textile made in Uzbekistan. Like the American tradition of quilting, they are often made as separate pieces and then stitched together. Design motifs usually include flowers, leaves, or suns and moons. 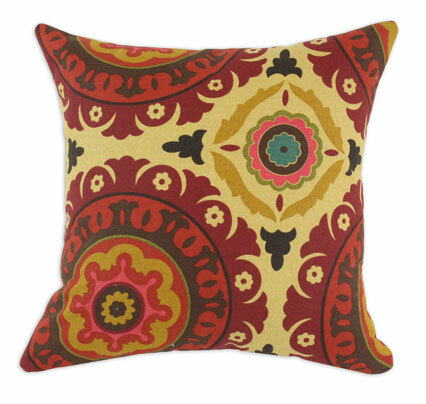 If you want to make a dramatic impact in your décor, the bright colors of a suzani add instant personality. Suzani patterns are also found in many printed fabric designs. They make vibrant wall hangings, bedspreads, throws, accent pillows, or even tablecloths. Elaborate, symmetrical patterns typify this design, which is also identifiable by its blurred colors. Parts of the threads are bound together in bundles and dyed before weaving, creating an effect similar to tie-dyeing. This process adds to the uniqueness of the pattern. Ikats are a versatile choice for upholstery since they hide stains effectively and work well in traditional or contemporary settings. Kilim rugs can be functional as prayer rugs, but can also be purely decorative. 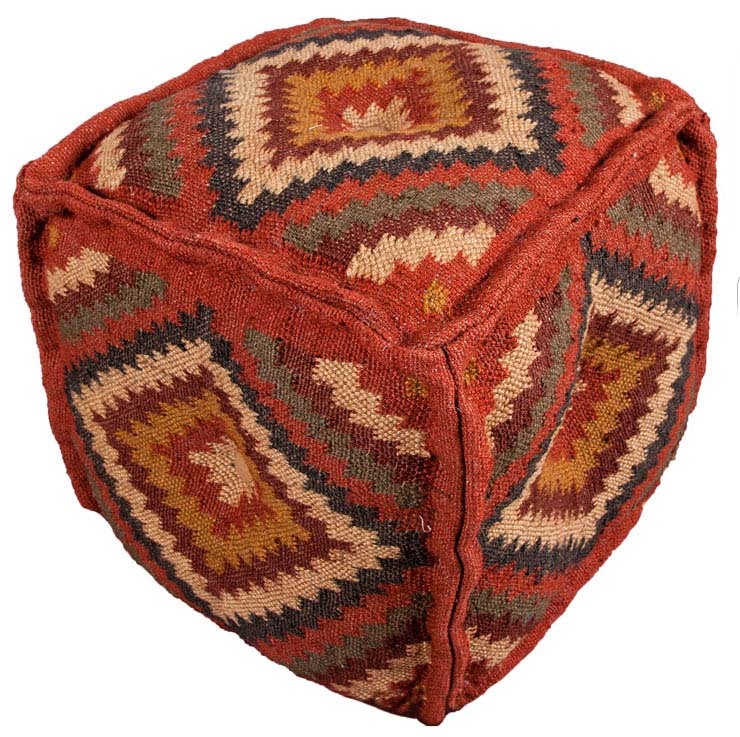 Kilims are flat woven textiles, which means they have no pile. Though thinner than everyday carpet, they are perfectly durable as rugs for high traffic areas, both indoors or outdoors. The patterns are predominantly geometric – octagonal and diamond shapes are common – and tend toward warm colors, as they were traditionally dyed with vegetables. Encompassing many countries and cultures, patterns are dynamic and colorful, making use of textures and materials taken from nature. Look for less vibrant versions of tribal-inspired patterns if the boldly colorful ones aren’t your style. Some motifs use more understated colors but still leave the pattern front and center – neutral but not plain. Any bold pattern – tribal or otherwise – works well when used alongside solid colors. That pop of visual interest will catch the eye in a room of solids or neutrals. Multi-colored furnishings have a way of picking up colors around the room. A tribal pattern can have a unifying influence by bringing out other items you already have. These patterned textiles also look great on the wall. Hang one up to admire as a piece of art in its own right. Because their style is timeless, tribal patterns can be incorporated nicely whether your interior design is traditional, ultra-modern, or eclectically bohemian.